Location, Location Location! Newly remodeled home in one of the most sought after neighborhoods in Cape Coral. A one mile bike ride to Cape Harbor which boasts a number of restaurants, live outdoor music venues and shopping. Surrounded by Million dollar homes on the Spreader Canal. New Custom Kitchen with Cambria quartz counter tops, black stainless steel appliances, large pantry with built in wine fridge. Remodeled Master BR with walk-in closet, double sinks with granite counter-tops, new tiled shower and new tiled floors. New carpet in guest bedrooms, new blinds throughout home, freshly painted walls inside and new paint on exterior of home. All new light fixtures and ceiling fans. Lushly landscaped, automatic, in-ground sprinkler system, sparkling pool, covered porch with screened-in Lanai, Bronze aluminum pool cage, new gutters and soffit, Brand New AC unit May 2017. Literally move-in ready. Furnishings available! You may only need to bring your tooth brushes! 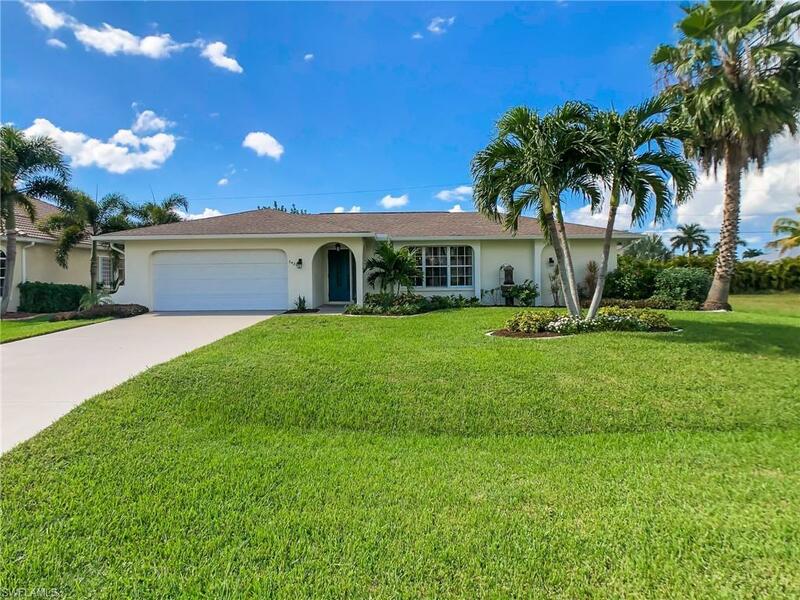 Make an appointment, come see this fantastic home in the best part of SW Cape Coral!